Jimmy Carter's rise and fall. And the fate of progressive evangelicalism. Shirley Hanson had little interest in politics. The suburban Minneapolis homemaker was committed to her family, serving in her local community, and, in particular, serving in her evangelical church. Aghast at the excesses of the late 1960s and early '70s, she voted for Richard Nixon in 1968 and 1972 but then was disillusioned by the Watergate scandal. As the 1976 presidential election approached, she became intrigued with a relative new-comer to national politics, Jimmy Carter. The manner in which his faith was so much a part of his identity compelled her to think anew about her interest and possible involvement in politics. 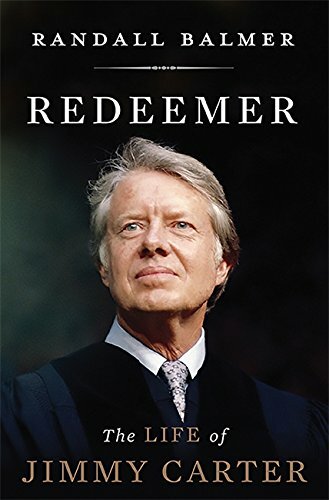 In Redeemer: The Life of Jimmy Carter, Randall Balmer, a noted commentator on America's religious past and present who serves on the faculty at Dartmouth College, seeks to make sense of this turn of events, situating Carter in the long arc of progressive evangelicalism and in particular its vicissitudes during the ascendancy of the Religious Right, a period detailed so well by David Swartz in his recent Moral Minority: The Evangelical Left in an Age of Conservativism.